Top AVVO Rated Tampa Family Law Attorney Nilo J. Sanchez, Jr. has represented clients in their child support needs for over 19 years. Whether settling child support payments or seeking a child support modification, Mr. Sanchez also seeks to understand each client’s unique needs and economic circumstances. (3)The guidelines encourage fair and efficient settlement of support issues between parents and minimizes the need for litigation. 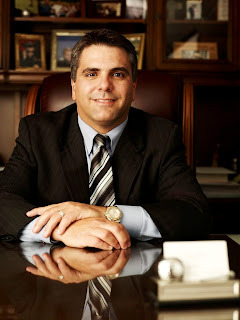 With over 19 years litigating divorce cases in Tampa Bay, Tampa child support lawyer Nilo J. Sanchez & Associates offers a high degree of skill, knowledge and experience in family law, including matters of child support.Obtaining the appropriate amount of child support through a court order along with the enforcement of child support is often necessary for the survival of your family. If you are not getting child support you should contact a Tampa child support lawyer for help. Depending on your circumstances, you may need to first establish paternity or file for dissolution of marriage or ask the courts for temporary emergency child support. There are numerous factors that can effect your ability to obtain child support from an absentee parent, but hiring a Top Rated AVVO Tampa Family Law Attorney may assist you in getting the child support that your family needs. Often times, circumstances will change from the time of your original divorce or child support order and a downward modification or an increase in child support may be in order. Needs of the children, changes in income or time-sharing or other special circumstances can effect the amount of child support you should be paying currently. Contact Top Rated AVVO Tampa Child Support and Divorce Lawyer, Nilo Sanchez & Associates to see if you are eligible for a modification of your current child support order. For further information, please contact our law office to discuss your unique family law matter. Tampa Child Support Lawyer Nilo J. Sanchez Jr. helps his clients obtain the child support amounts needed, either through negotiations or in court. When a parent's economic or personal circumstances changes significantly, it may be possible for that parent to modify his/her child support terms. (3)The guidelines encourage fair and efficient settlement of support issues between parents and minimizes the need for litigation.With over 19 years litigating divorce cases in Tampa Bay, Tampa child support lawyer Nilo J. Sanchez & Associates offers a high degree of skill, knowledge and experience in family law including matters of child support.Obtaining the appropriate amount of child support through a court order along with the enforcement of child support is often necessary for the survival of your family. If you are not getting child support you should contact an Tampa child support lawyer for help. Depending on your circumstances, you may need to first establish paternity or file for dissolution of marriage or ask the courts for temporary emergency child support. There are numerous factors that can effect your ability to obtain child support from an absentee parent, but hiring a Tampa Child Support lawyer may assist you in getting the child support that your family needs. Often times, circumstances will change from the time of your original divorce or child support order and a downward modification or an increase in child support may be in order. Needs of the children, changes in income or time-sharing or other special circumstances can effect the amount of child support you should be paying currently. Contact Child Support Lawyer Nilo Sanchez & Associates, P.A. to see if you are eligible for a modification of your current child support order. Florida determines child custody issues by establishing parenting plans that encompasses a time-sharing schedule for both parents. At Nilo Sanchez & Associates, P.A., we assist clients with creating time-sharing arrangments/schedules which meet the court requirements as well as accomplish the parent’s and children’s needs. From our offices in Tampa, we serve clients in Hillsborough County, Pinellas County, Pasco County and the surrounding Tampa Bay areas to include Carrollwood, Wesley Chapel, New Tampa, Temple Terrace, Odessa, Plant City, Apollo Beach and Brandon. Protecting your parental rights while insuring that the children’s best interests are at the forefront takes a seasoned Tampa child custody ( lawyer and one that understands the complexity of some child custody cases. We know that when parents are dealing with child custody and divorce, it is often times a very emotionally charged time. Child Custody lawyers in Tampa bay who represent clients who are divorcing and need assistance with time sharing, visitation and even modifications of child custody orders should be experienced in litigating child custody and be family law specialists. Unquestionably, children issues such as child support, child custody, and visitation that are now called time-sharing are some of the most important concerns in family law cases. Florida law designates that parents construct a parenting plan either through an agreement or court order. When child custody and visitation questions are being decided, do everything you can to ensure that you secure the best possible resolution. The skilled and experienced family law attorneys of Nilo Sanchez & Associates, P.A., can assist. To schedule an initial consultation with Tampa Family Law and Child Custody Attorney Nilo Sanchez, call 813-879-4600. Nilo Sanchez , Esquire is a compassionate yet aggressive child custody and divorce lawyer in Tampa who you can depend upon for all of your family law needs. Please call our office for a consultation at 813- 879 4600. Click here for more information about hiring a child custody lawyer in Tampa. Florida Family Law Attorney and Divorce Lawyer Nilo Sanchez Jr. is dedicated to achieving your goals based upon your divorce, custody, family law, and alimony modification needs. With more than 19 years of experience practicing Florida family law, Mr. Sanchez’s goal is strategically assisting you with your family law matters. Located in the Tampa Bay area, Attorney Nilo Sanchez Jr. assists clients in Hillsborough County, Pinellas County, Pasco County to include the surrounding areas of Wesley Chapel, Carrollwood, Odessa, New Tampa, Temple Terrace, Plant City, Apollo Beach as well as Brandon, Florida. Whether challenging complex business valuation in a high net worth divorce or pursuing a modification of child support or time-sharing matter, our clients benefit from his pragmatic advice in problematic situations, his strategic approach in solving family law matters, and his readiness to protect your interests in court whenever necessary. He will listen to your individual concerns, precisely disclose all the options attainable, and work with you to determine the best approach and solution that meets you and your family’s needs. Complex family dynamics are emphasized during difficult situations. At Nilo Sanchez and Associates PA., in Tampa, Florida, we recognize all aspects of our clients' individual situations and work to resolve their family law matters. Florida Family Law Attorney Nilo Sanchez Jr. has the experience to work with you to develop a legal plan to fit your Florida Family Law needs and goals whether they be filing for divorce, modifying your child support, child custody or alimony due to changing circumstances. Florida Family Law Attorney Nilo Sanchez Jr. can also enforce child support payments for the support of your child. Each divorce or modification is exclusive because the individuals involved are unique. For further information on how Florida Family Law Attorney Nilo Sanchez can assist you, please call our office to schedule a consultation with regards to your unique legal matters. If you have children time sharing and child support will likely be the main focus of your divorce. In the best interest of your children and your family as a whole, I will work hard to ensure the best outcome for all parties. Assisting you with parenting plans, visitation, time sharing and other co-parenting matters will help you to reach solutions that will be in the best interest of your children. Additionally, if your divorce is final and you require assistance with modifications such as child support modifications, alimony modifications or other divorce modifications, I will work hard in an effort to obtain the results you desire. In the State of Florida,the temporary custody of minor children can be awarded to an extended family member. Chapter 751 of the Florida Statues, sets forth the requirements that must be met in order for custody of a minor child to be awarded to an extended family member. 1. Medical, dental, and psychiatric records. 2. Birth certificates and other records. The extended family members, who are awarded temporarycustody under Chapter 751, can also enroll the child in school and grant or withhold consent for a child to be tested or placed in special school programs, including exceptional education. In essence, the extended family member, under Chapter 751, can do all other things necessary for the care of the child. (b) The stepparent of a minor child if the stepparent is currently married to the parent and is not a party in a pending divorce case or other civil or criminal proceeding involving one or both of the child’s parents as an adverse party. To obtain additional information concerning extended family members obtaining temporary custody of a minor child, contact Top Tampa Family and Divorce Attorney Nilo J. Sanchez Jr who is experienced with all of your family law issues. Any woman who has a child, any man who has reason to believe that he is the father of a child, or any child may bring a legal proceeding to determine the paternity of a child who was born out of wedlock. The establishment of paternity for a child born out of wedlock is governed under Florida Statute §742.10. 4) By the court entering an order establishing paternity in a proceeding for the establishment of Paternity. Upon paternity being established, the parties can seek to have parental responsibility established and seek to have a time-sharing schedule for the parties and the child. Additionally, a parenting plan can then be entered by agreement between the parties or by the court in the event the parties are unable to agree. Lastly, child support can also be established by agreement or court order once paternity and time-sharing between the parties and the child is established. The establishment of paternity affords both parties with rights and responsibilities that they otherwise would not have but for paternity being established. For more information regarding the establishment of establishment of paternity, contact Top Rated Florida Family Law Attorney Nilo J. Sanchez Jr.